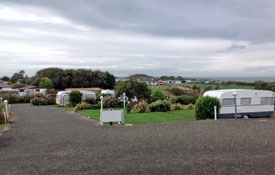 Riverton Holiday Park and its camping ground sites are surrounded by beautiful native plants and sea views. A 15-minute walk takes you to beautiful beaches that are great for swimming, surfing and fishing. Take a drive up to Mores Reserve for some stunning sweeping views of the sea and Riverton, and the start of some short bush walks. We are only a 10-minute walk into the heart of Riverton. 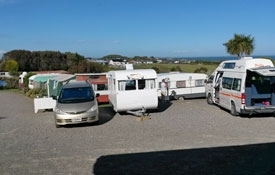 The Riverton Holiday Park has ensuite units, tent and campervan sites, powered and non-powered. 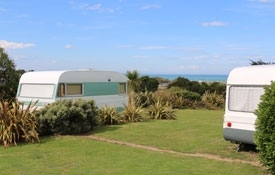 Caravan for hire on site. 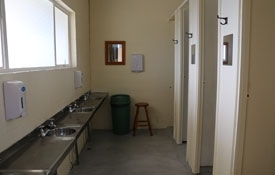 Facilities are 'knock your socks off' showers, fully equipped grandma's kitchen, a large recreational room with TV and a massive log fire for your enjoyment. Games and puzzles and a swap-a-book library. We are dog-friendly (conditions apply). We hire the hall for events and workshops and we also cater for school camps and clubs/group camps. 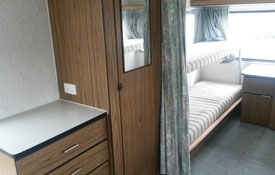 Two king single beds, ensuite with shower/toilet, TV, tea and coffee, fridge. 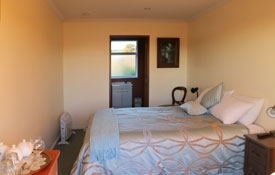 Queen bed, ensuite with shower/toilet, TV, tea and coffee, fridge. 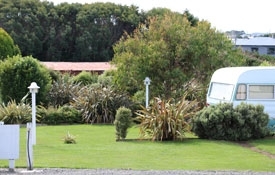 Our on-site caravan can sleep up to six. Sites are gravel or grass, powered or non-powered. 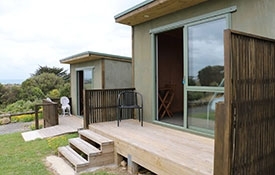 Our camping sites have sea views and native garden settings. Hot showers with great pressure and NO timers. 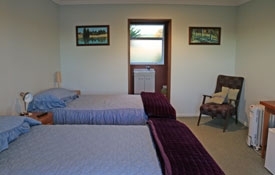 Kitchen is fully equipped, recreational room with log fire, TV, puzzles, board games, table tennis, a swap-a-book library. 2 basic cosy cabin available with double bunk with single bed overtop. 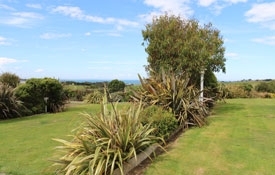 Sea and garden views.